May 17 marked the 90th anniversary of a distinctive and remarkable Australian institution, the Royal Flying Doctor Service. Since 1928, it has provided a mantle of safety over the outback. Importantly, it has provided the safety of rapid transport and retrieval of patients without imposing risks of its own. In the hair-raising barnstorming days of early aviation this was an extraordinary achievement. The Royal Flying Doctor Service did not have a fatal accident until 1981 and has not had one since its second fatal accident in 2001. To put those tragedies into perspective: the flying Doctor assisted 336, 358 people last year and conducted 17,094 nurse, GP and dental clinics. Its 69 aircraft flew a collective 26 million kilometres. In 1917, the Reverend John Flynn, founder and head of the Presbyterian Church’s Australian Inland Mission, received an unusually interesting letter. It was from a trainee pilot in the Australian Flying Corps, Clifford Peel, who had been a medical student before enlisting during World War I. Combining his medical training with his experience in the young field of aviation Peel suggested how aircraft could be used to carry out the mission’s work. He went into detail, covering aircraft type, range, speed and costs. He even suggested Oodnadatta, Cloncurry and Katherine as potential bases. Peel never lived to see the aerial medical service he suggested; his RE-8 two-seater disappeared on a patrol over France in 1918. But his letter started the Reverend Flynn on a quest to found the flying doctor service. In the course of doing this he met other young returned military aviators, including Hudson Fysh, who ran the Queensland and Northern Territory Aerial Service. 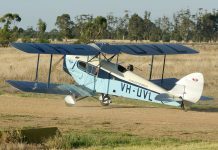 In 1927, Qantas and the Aerial Medical Service (the Royal Flying Doctor Service name came in 1955) signed a lease agreement and on 17 May 1928 the first flying doctor flight took off, using a Qantas de Havilland 50 biplane, leased for two shillings a mile. The service made 50 flights and treated 225 people that year. Through Qantas the AMS was lucky to have the services of its remarkable chief engineer, Arthur Baird, who oversaw the construction and maintenance of early Qantas aircraft. The Australian airline and the flying doctor followed their own paths over the years but to this day a senior Qantas executive sits on the board of the RFDS. Like Australia itself the Royal Flying doctor service is a federation; seven separate but similar bodies serving a common purpose and cooperating. There are differences from region to region. 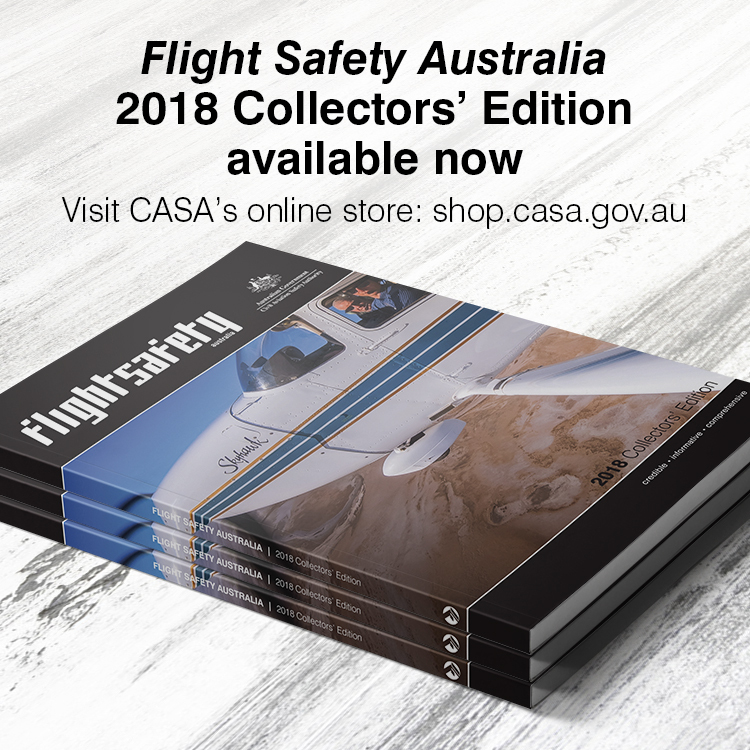 In Queensland, the fleet includes two Cessna Caravans, while Western Australia is waiting for the delivery of its first Pilatus PC-24, an aircraft that combines jet speed and range with the ability to operate from short unimproved runways. Emergency medical service (EMS) aviation is a category of operations with obvious dangers; landing on unfamiliar, basic airstrips, often at night, are the two standouts. Added to them are the subtle risk of operational pressure, which is subtly greater when passengers are patients, and the ever-present hazards of weather and fatigue. 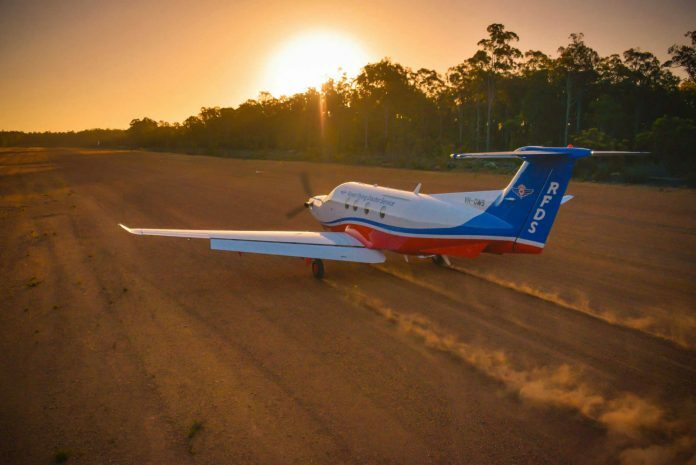 The RFDS deals with the issue of subtle operational pressure by adopting a policy of deliberate ignorance—but only for pilots. ‘Information about the patient is strictly on a need-to-know basis for pilots,’ NSW RFDS pilot Shawn Roper-Campbell explains. ‘That way there’s one less thing to influence your flight planning, even subliminally.’ As small- to medium-sized aviation organisations with unpredictable workloads, fatigue and fatigue management are constant issues. In NSW, the RFDS operates its Beech King Air 200 and 350 series aircraft single pilot. Fatigue management is one of the reasons for this. At the RFDS Mascot base pilots are on a cascading roster with shifts starting at 6, 7, and 10 am, and 2 pm. Unscheduled jobs go to the most recently arrived pilot. The intent is that pilots never take off on long and tiring flights near the end of their shifts. A similar roster applies to flight nurses. Charlton says this use of data, which could be considered intrusive in some organisations is the result of a long-standing culture of trust and openness. ‘For me, the great safety story is the trust that exists between the pilot group and the organisation about the use of flight data analysis,’ he says. The main difference Roper-Campbell discovered on ‘downsizing’ from jet operations to the RFDS was the amount of flight planning and contingency planning required. ‘Airline flying is very scheduled: you get your roster months in advance and know where you will be. We don’t have that luxury,’ he says.